Whether you are starting out or a fully established business we have a program to fit your needs. You can enter the program at any stage or go through the entire process. Our initial interview will determine your needs and only focus on the stages that really need our help. Most businesses and solo-preneurs come to us when they are ready to level-up. Either the game changed in their industry and they need to compete on a higher level or they are ready to be the game-changer in their industry and leave their competition in the dust. There are so many different pieces to the marketing puzzle. You can choose any one piece to implement but do you want to be amazing at just one piece or do you want to be incredible at the whole complete put-together puzzle? Each Marketing piece on its own is a game changers and will help you level-up your marketing and sales conversion game but if you want to really Crush your goals and wave to your competition in the rear-view mirror work with us to get through all 12 steps. It starts with finding out who your brand is. What is your brand’s personality, how does your brand walk and talk to best communicate with it’s customers. What do your customers expect from your brand and what are the big gaping holes that your competition has that your brand can fill. What are your brand’s best colors, fonts, style, look & feel. What is your mission statement and what are your brand’s biggest strengths? When we complete your brand personalty and archetype and have a comprehensive understanding of your brand, then we can carry that through the rest of the 11 steps. If you do this step later on in the process then you will have to repeat some of the steps because we will need to re-design and re-print marketing materials and signage; re-design your website in your brands colors, look, style, fonts and language and we will have to re-do the designs of your social media and MailChimp. What do customers see when they walk through your doors? How do they feel? What are their first impressions? Is your branding consistent on all of your signage? Are you communicating effectively with the right verbiage and style? Do customers have an emotional reaction when they’re in your store? What is the customer experience? We assess strengths and areas of great opportunity. We look for ways to increase revenues as well as increase the customer experience. Today’s customers want interaction and experiences in their buying processes – are they getting that within your store? Are there game changing opportunities and if yes, what are they? If you are an on-line business, skip to Step 3. We first assess what you’ve got going on. What’s working and is it working because you think it’s working or do you have the statistics to prove it. We’re going to pull back the curtain on this one and see your marketing – naked! Show us your stats. What are your Facebook statistics, what are your Instagram statistics? How are your ads performing? When we google your business are you there and how do you look? What your existing website stats? How many impressions and unique visits do you get? Can we find you on Google Maps and Apple Maps? How about your reviews? Do they make you proud or are they more cringe-worthy? Are you capturing new leads and adding new customers to your database every day or at least every week? How about your existing customers? And how about your existing customers? It costs less to keep customers than get new ones. Are you running multiple campaigns to stay in contact with your existing customers? How are these relationships going? Do you make them laugh? Do you engage their emotions? Do you stay in friendly contact? Is it eye-catching and consistent with your branding look, feel, style and messaging? Can customers easily search for items and how quick and easy is the check out process? What is the c-Commerce follow up email campaign like? Do customers receive emails that their orders were place and are shipped? Do they receive thank you emails? Do you have an abandoned cart series set up? According to MailChimp XY% of shopping cards are abandoned and 1/3 of those sales can be recovered with an abandoned shopping cart email series. Do you have follow up review emails that are sent out after customers have received their orders? Printing is the next logical step because we’ve assessed your in-store needs and your marketing needs. We’ve done your branding so we know the look, style and verbiage of your print materials. We know what in-store large vertical banners you need and what they need to say. We also know what marketing materials like information hand-outs, Thank-you flyers, Review us flyers, POS signage, and hang tags your business needs. Let’s get your game-changing printing done and move onto Step 5. The rubber is about to meet the road. Your online presence is about to get jacked-up, amped-up and your business is about to get revved up. This is the hub, the mother-ship of all of your online marketing. People will visit your website before they visit your store, so this is the first impression, and the first virtual hand-shake interaction. Your website will have everything your customers need on it plus all the Google-bot-loving, algorithm finding keywords, meta tags and content to keep your online heartbeat racing. Your website will be functional and eye-catching. It will contain all the bells and whistles pertinent to your brand, products and services. If the rubber meets the road in your Website Build, this step is where we fuel up the tank with high octane gasoline. We create and connect every single piece of the puzzle here so you have a rock solid foundation from which to launch competition crushing marketing campaigns. We build all the lead capture, lead generation funnels and email templates. We design and create the MailChimp templates for existing customers and new ones. We make sure you have a great google presence when someone searches for you and we get you your very own mark on Google and Apple maps; not quite the Hollywood walk of fame, but in marketing – it’s the next best thing! In Step 7 the key goes into the ignition, the engine roars to life and we’re dis-engaging the parking break. We’re off and running with marketing campaigns to your beloved customers who already know, like and trust you and are responsible for getting your business where it is today. We’re showing them the love they deserve and piling on the VIP treatment. We’re making it easier than ever to do business with you and giving them every opportunity to blow up their phones writing 5 Star Reviews for your new raving fan customer service. Your average Units Per Transaction is on the way up, your customers are loving hearing from you and responding with more store visits and traffic to your website and your sales are on the rise. Referrals are coming in because you’ve got your customers talking about you on-line and off-line. More people are tuning in to your Live Videos and liking, sharing and commenting on your social media. Your marketing is more proactive than reactive with your 12 month marketing calendar and coordinating social media content calendar. Every business needs new customers and yours is no exception. In step 8 we are putting our foot on the excelerator to aggressively go after new business. The focus is Lead Generation using landing pages and sales funnels with coordinating online ads on platforms such as Facebook, Instagram, Pinterest, Google Adwords and Bing Ads. Yes, we said “Bing.” While Bing is not the largest search platform, it’s users have high income streams and high expenditure statistics. We’re going to use strategies like EDDM for affordable high-end glossy postcard mailings to very targeted neighborhood markets of your choosing. Did you even know there are strategies for creating lead funnels and sales funnels specifically for Facebook and Instagram? We did. That’s why you hired us. Landing pages galore! Landing pages for every nook and cranny of your market. Did someone say “lookalike audience?” Using your existing database we will create lookalike audiences to target market to on social platforms, Google and Bing. We’ve got your back by keeping our eye on your website and e-Commerce business. e-Commerce is like having another location and just like you have to keep the lights on and your POS software and plumbing working in your brick and mortar stores, you have to make sure everything is humming smoothly with your online store. Google changes in the blink of an eye and we eat, sleep, breathe digital marketing so often times we know about Google updates before they roll out. We will keep you briefed of changes and make necessary changes to keep your website cutting edge and effective for you and your online customers. Our existing clients super appreciate how we updated their websites before Google even rolled out its latest change up. We’re in the know. We also routinely check key search words in your industry and in your town (we’re obsessed with keywords) and keep your meta tags and search terms updated on your website. We will assist in the management of your online sales force, keeping on on your website traffic and jumping in to service your online customers. Full throttle e-commerce driven marketing strategies at Step 10. Today’s shoppers are savvy and your shoppers of the future, well those millennials and Gen Z’ers are totally revamping all shopping as we know it. We are diving deep into Facebook advertising with field tuned ads to collect leads and drive traffic to your website and we’re engaging all the strategies that MailChimp has to offer. We’re overly obsessing about keywords, search terms and google analytics can Facebook Insights. Just like we’re full throttle in your e-Commerce Growth, in Step 10 we are full throttle in your Social Media. There is SO much more to social media than what meets the eye. Many companies post products and services for sale but there are strategies upon strategies to get more followers, engage those followers and convert those followers into actual customers. OK, so we a little bit monkey around in Step 11 because social media is meant to be fun. We help keep the “social” in your media. There are the all important “3 E’s” to engagement: Entertain, Empower, Educate. We create posts keeping the all important powerful “E” words top of mind. We also assist you in creating store level posts and videos that will spotlight your business and services and your brand’s personality. Each platform has it’s own intricacies and we will manage platform changes and implement best practice straggles to keep the high octane fuel pumping through all your platforms. Social Media is a full time job. 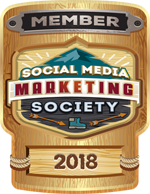 We will consistently manage by statistics and keep in touch with social media professionals (we’re members of the exclusive Social Media Society) to compare straggles keep learning new things from our peers and then implementing those new things in your social media campaigns. Even though we are Monkeys In Hats, there is no monkeying around in Step 12. You want to engage and unleash the pros so you can focus on all the other aspects of running your business. Unlike other agencies whom you just pay monthly and hear from quarterly, we will meet weekly or bi-weekly to keep you informed of what’s happening with your marketing and to coordinate what’s up next. We work with you to grow your business and we all hold each other accountable. This is just one of the many things that differentiates our company from the rest. If you’ve worked with agencies before and scratched your heads wondering what they were doing and what you’re paying for, you won’t have that experience with us. We believe strongly in team work.